IQS Directory provides a detailed list of clutch disc suppliers. Find clutch disc companies that can design and engineer clutch discs to your specifications. Peruse our website to review and discover top clutch disc suppliers with roll over ads and complete product descriptions. Connect with the clutch disc companies through our hassle-free and efficient request for quote form. You are provided company profiles, website links, locations, phone numbers, product videos, and product information. Read reviews and stay informed with product new articles. Whether you are looking for manufacturers of slip disc clutch, rounded clutch disc, and automotive clutch disc of every type, IQS is the premier source for you. If you have been looking for clutch discs at a low and competitive rate then look no further! It has been our primary goal over our last thirty five years of operation that we are able to provide our clients with custom solutions for all of their friction material needs. We are located in Cleveland, Ohio but we are dedicated to serving a global market. Get in touch with our customer service division to learn more about what we can do for you! When it comes to clutch discs we have the selection you can count on to have exactly what you have been looking for. 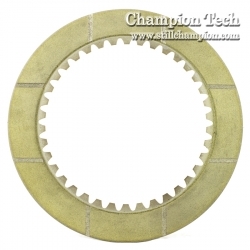 Our clutch discs come available in ceramic or sintered bronze and are available at a rate that is competitive. Our technicians will work with you in order to come up with a product that is just as customized as you need it and that will suit your needs. Get in touch with our customer service division today to learn more! 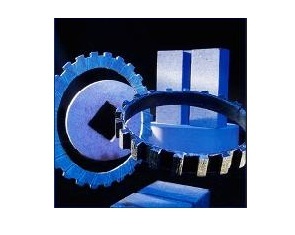 Northern Friction Technology is a diverse manufacturer of custom friction materials. We have over 40 years of experience, we serve a multitude of industries and applications, including clutches and brakes for transit systems, and friction components for balers, tractors, and combines. We have the capabilities to build a custom component from the ground up, or rebuild pre-existing parts. Contact us today to learn more! At Champion Technologies, we pride ourselves in providing the highest quality brake and friction products in our industry since our founding in 1927. Products include clutch facings, brake blocks, and brake linings, all of which are made from premium raw materials. For more details about our products and services, contact us today and let us help you find the perfect product to suit your needs. When it comes to clutch discs at a competitive rate; we are your source! We have over four decades of field industry experience that we want to put to work for you! Our products serve a wide variety of industries including military, industrial, commercial and a broad spectrum of others as well. We know that without customers we would have no business this is why all of our clients receive the highest quality of care. Visit us on the web today to learn more! Our clutch discs serve many different industries including government, agricultural, transportation as well as many others. We are a dedicated team of individuals that is committed to ensuring that our customers receive the highest quality of care in service and the best products available on the market. We do this in hopes of turning first time customers into lifelong connections. Get in touch with our customer support staff today! Clutch discs, also known as clutch plates, are automotive devices that integral to the shifting of gears in both automobiles and pieces of heavy machinery. 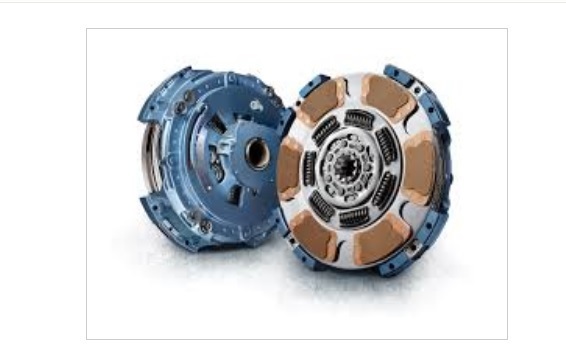 A part of electric, hydraulic, pneumatic and mechanical clutches alike, clutch discs are rounded plates that connect and disconnect the engine of a vehicle and the transmission input shaft of a vehicle to and from one another. When enacted, the engine and the transmission input shaft disconnect temporarily, allowing the gears to shift. Clutch discs and clutch systems are not only useful to the automotive industry, but to, among others the agriculture, construction, transit, defense and shipping industries as well. Behind the shift of a gear is a complicated mechanism. To work, the clutch pedal must first be compressed. When the clutch pedal is compressed, it in turn compresses several springs that are connected to a pressure plate as well. From here, this compression tugs at the plate and pulls it, along with the connected clutch disc, away from the flywheel. The flywheel is held securely in place, bolted to the crankshaft of the engine. Once this disconnection takes place, the clutch disc stops rotating, causing its central hub to disconnect from the inner shaft. At this point, the driver of the vehicle may shift gears. Once he or she has shifted gears, the clutch pedal is released and the clutch discs returns to its original position, connected to the flywheel. Much like brake pads, the actions of clutch discs create quite a bit of friction. Too much friction can be very bad for the clutch system, as it can wear away at the coating of the disc, causing the disc to slip against the flywheel and disrupt the transmission. To counteract this, manufacturers frequently fabricate clutch discs from stainless steel. Stainless steel is a steel alloy known in particular for its corrosion resistance, rust resistance and superior durability. To further fortify clutch discs, manufacturers often finish the plates with coatings of friction materials. Friction materials, also known as brake materials or clutch materials, are pads or linings made of rough or textured materials to slow or decrease friction-causing movement. Once upon a time, the most popular type of friction materials were asbestos fibers. However, today they are seldom used, due to the health risks they pose. Today, friction materials like mineral fibers, chopped glass, cellulose, copper fibers, aramid fibers, steel fibers, ceramics and other carbon composites and semi-metallic and non-metallic materials have replaced asbestos fibers for this application. Friction materials are mixed to create composites for various different clutch systems. Ceramic mix brake pads, for example, are frequently used with the clutch systems of heavy duty application vehicles, like performance cars and trucks. They are chosen for applications like these because they offer extreme strength and durability, superior heat resistance and an increased coefficient of friction. Note that while manufacturers and suppliers may offer general descriptions of common composites to the public, they will often shield the exact details of their friction material ingredients in order to edge out competition. Another way that manufacturers can counteract too much friction is by immersing the clutch in a cooling lubricant fluid. In addition to keeping the clutch cool, this fluid facilitates smoother performances, keeps surfaces clean and lengthens the life of clutch systems. Note that clutch discs that use friction materials are called dry clutches, while clutch discs that use lubricant are called wet clutches. Dry clutches and wet clutches both have their merits, but wet clutches do have a tendency to lose some energy and they can be quite slippery. However, to compensate for this slipperiness and improve friction, manufacturers can stack multiple clutch discs in one system. Those in the market for clutch discs must consider a few different factors as they relate to their application. These include: maximum pressure allowances, power, torque rating, rotational speed and type of clutch system (dry or wet) desired. After making their purchase, clutch disc owners must be aware of a few indicators and exacerbators of poor disc health. For example, if the grip of the clutch begins to slip, the clutch disc must be replaced. In addition, raising the engine speed very high while still engaging the clutch will cause early wear on the disc. Clutch disc maintenance is different with every car, as different car models sometimes put it in different places in the engine. A common home of the clutch disc, however, is in between the engine and the gearbox. For more tips about clutch disc maintenance and to find the best match for you, get in contact with an automotive engineer or clutch disk manufacturer today. Clutch Discs – Champion Technologies, Inc.